For any enquiries, please get in touch with us! Tickets go on sale 9th Feb 2010! Check http://www.mayn.asia/ for full details on ticket outlets! TICKETING OUTLETS *Tickets available online from 9th Feb.
Lvl 7, Customer Service Dept. ATTENTION ALL FANS IN SINGAPORE! ANNOUNCING TWO CUSTOMISED TOUR PACKAGES ON LUXURIOUS COACHES - JUST FOR YOU TO ENJOY MAY’N’S CONCERT IN KL! 2. 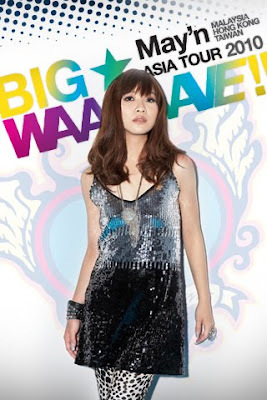 Concert ticket to May'n BIG☆WAAAAAVE Asia Tour 2010 KL Concert. 3. 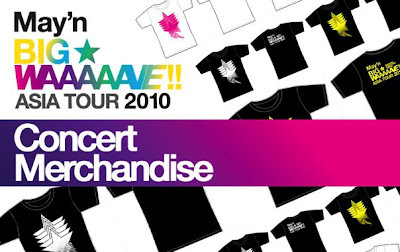 Concert ticket to May'n BIG☆WAAAAAVE Asia Tour 2010 KL Concert. *PACKAGES WILL GO ON SALE 9TH FEB 2009! Check the May’n Asia Facebook fanpage (Before 9th Feb 09) for more details on how and where to buy! PS:Edited the May'n pix to join "Serge Norguard is having a competition to give out 4 tickets *onlys* to 4 bloggers to the Mayʼn BIG WAAAAAVE!! Asia Tour 2010".